I didn’t learn until recently that making a cup of green tea actually takes quite a bit of finesse. Most people heat their water until boiling and dunk in a bag of green tea without thinking twice. This method actually blanches the tea leaves, rendering them bitter and the antioxidants inactive. Green tea actually needs a bit more love to achieve the optimal flavor and health benefits. With matcha, the method is similar. 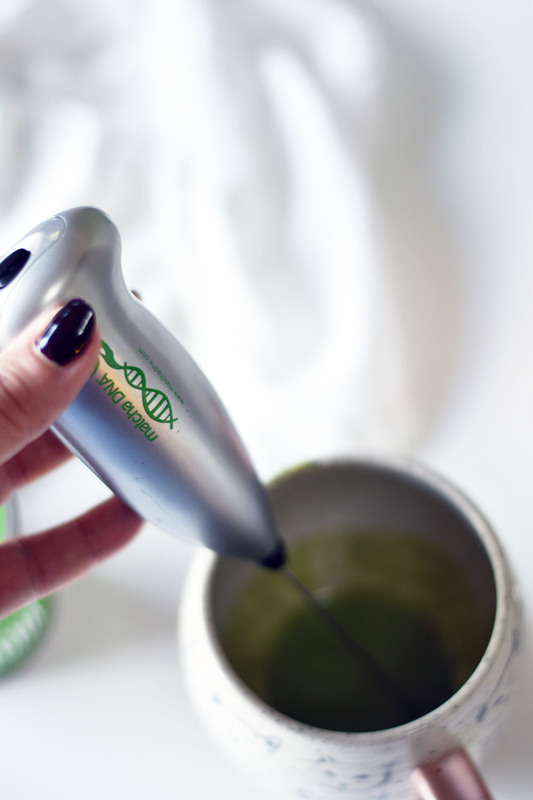 It takes a bit of care and finesse to create the perfect matcha latte. 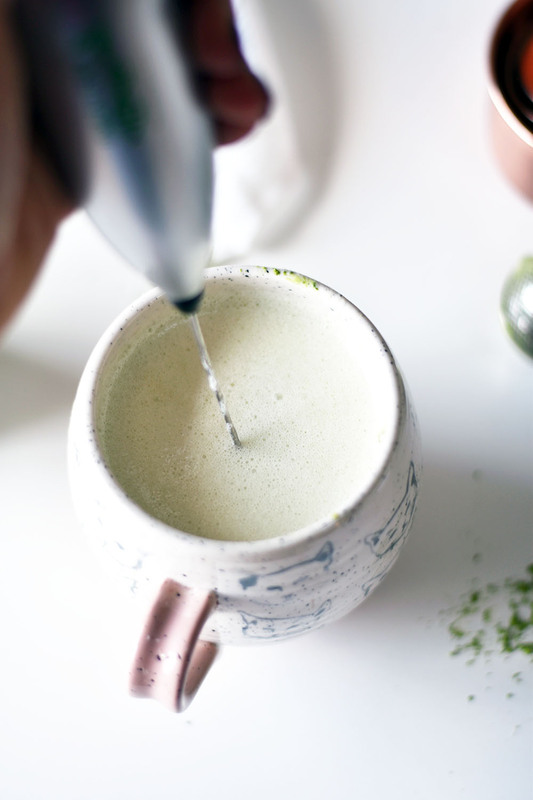 The primary difference between matcha and green tea, however, is that you’re actually consuming the entire tea leaf versus just drinking water steeped from the tea leaves. Because of this, matcha is actually much more nutrient-dense than standard green tea, and needs extra care when storing and preparing. So… what is matcha? Matcha is a type of green tea made from young green tea leaves. 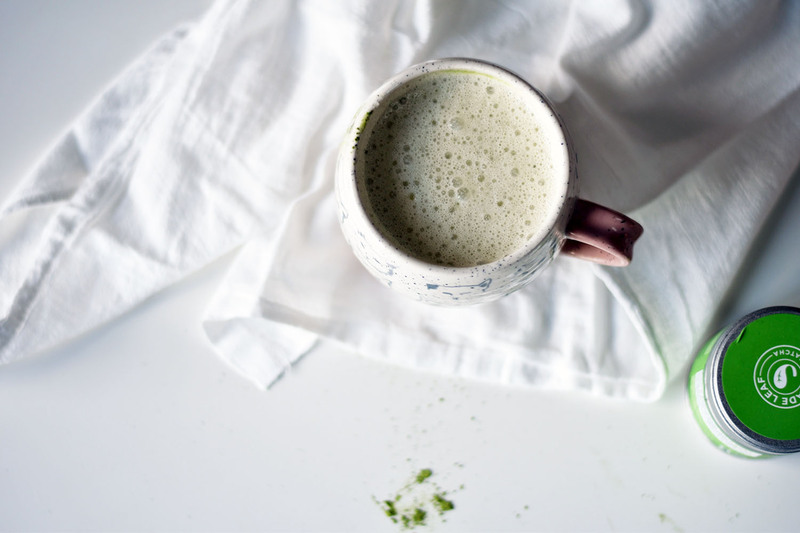 Matcha is the only form of tea where the entire leaf is consumed, and because it is made from top-quality leaves that are treated with great care, it delivers more of the healthful benefits than any other form of green tea. In addition to providing trace minerals and vitamins (A, B-complex, C, E, and K), matcha tea is rich in catechin polyphenols – compounds with high antioxidant activity. These compounds offer protection against many kinds of cancer, help prevent cardiovascular disease and slow the aging process. They also reduce harmful cholesterol in the blood, stabilize blood sugar levels, help reduce high blood pressure and enhance the resistance of the body to a variety toxins. Matcha tea also has a significant amount of dietary fiber and practically no calories! 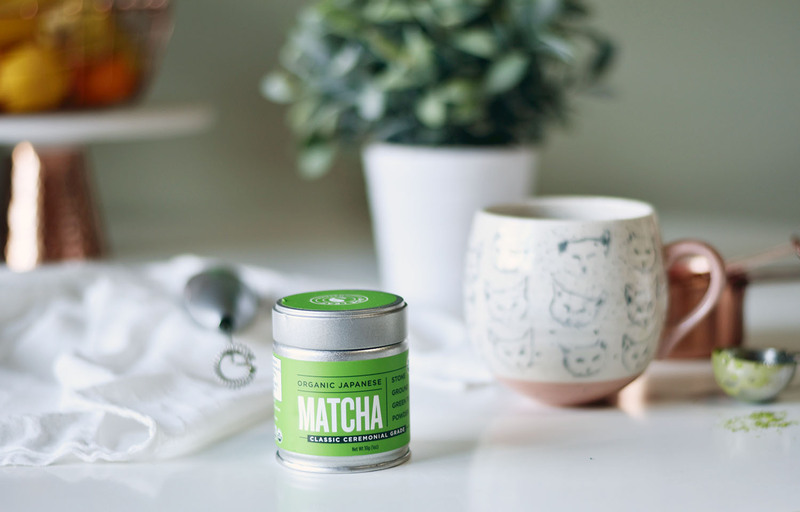 Matcha best practices: Matcha is extremely sensitive to both light and heat, so err on the side of caution and store in the fridge. The tea leaves are picked when they’re very young, ground into a finely milled powder, and then flash frozen for optimum freshness. 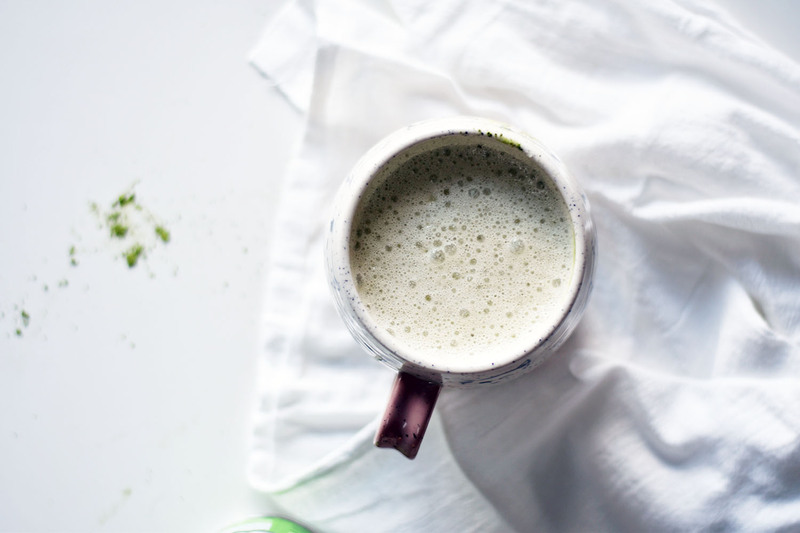 Once exposed to light, matcha begins to oxidize. The goal of storing in the fridge is to keep it cool and airtight for as long as possible. There are varying grades of matcha, the lesser “culinary” grades used for baking and cooking. 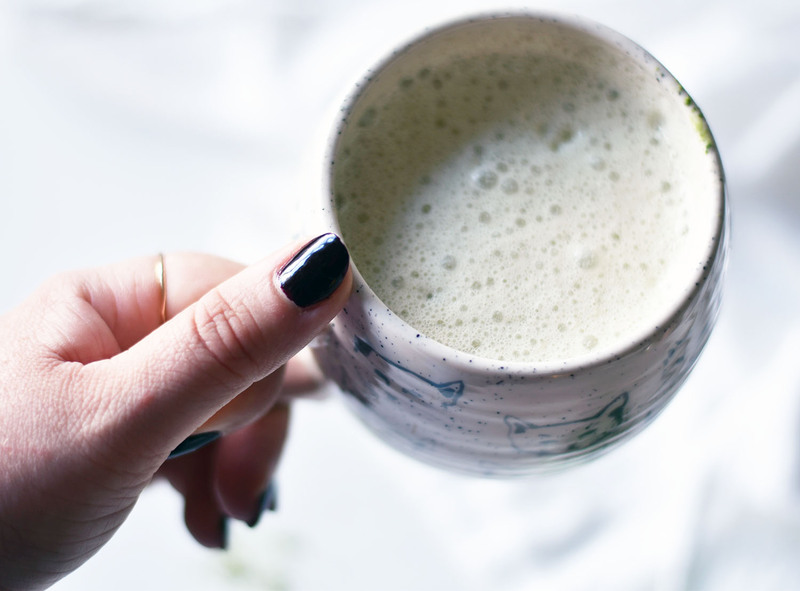 When drinking matcha, it’s recommended that you purchase the highest ceremonial grade matcha; the ceremonial grade is made from the finest tea leaves, and while more expensive, produces a far better better taste experience. Using a small sifter, sift 1 tsp. matcha tea powder into the bottom of an empty mug. Warm up your milk of choice on the stove or in the microwave, taking care not to overheat. Once the milk is warm, pour a small amount into the mug – just enough to make a paste with the powder. Using the milk frother, blend the powder and warm milk until a thick green paste forms. Pour the rest of the milk into the mug and blend with the milk frother. Enjoy hot or on ice!